First, I apologize for not being on here more frequently. I was on here so much during Ami's early years, and then life got in the way and I wasn't able to come back and spend time here. 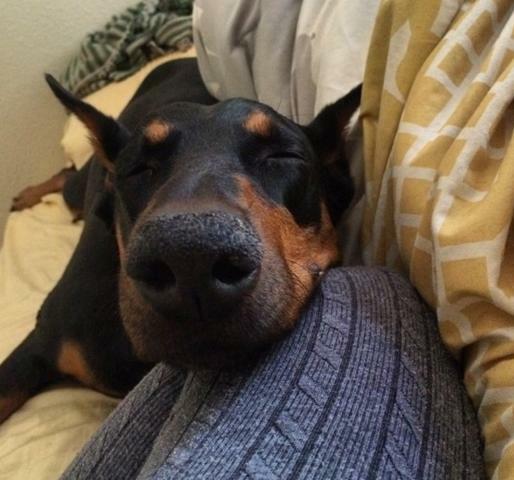 It's a community I miss so much, and one that's been so supportive with knowledge, great listeners to funny stories, help when there's questions or uncertainty, and overall... one that's been an integral part of my journey as a dobe lover. Everything happened so fast and it's been really hard to share or talk about. She was a part of mine and mu husband's lives for 10 years, from our 20s right into our 30s. She grew with us. She picked up our funny habits. She had the most personality out of any pup I've known. She's road tripped across country with us multiple times as we moved, from city to city and new home to new home. The house is really quiet without her here, and it's been really hard. On the Thursday before Christmas, she started throwing up and acting very out of character. She's done this in the past and it passed within a few hours if she ate grass or had an upset stomach, so we made her some rice and kept an eye on her. After a short while she was clearly struggling to walk and something was very wrong, so we rushed her to the emergency vet at midnight. They immediately checked for bloat, and we were relieved it wasn't that. But what we saw was heart stopping. When they showed us the Xrays, she had a gigantic mass on her spleen that was pushing it upwards and completely displacing it. There was some fluid in her stomach so they feared that it started a slow rupture. They gave us the option to have emergency surgery that night. They said we could wait, but it was bound to fully rupture and she would be in a much more dangerous spot at that point. 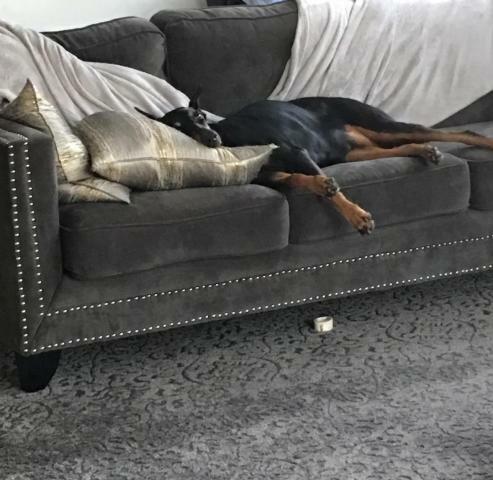 They said it would be about a 12-24 hour recovery and most of the time it's an easy one for a dog that's in good health like her. 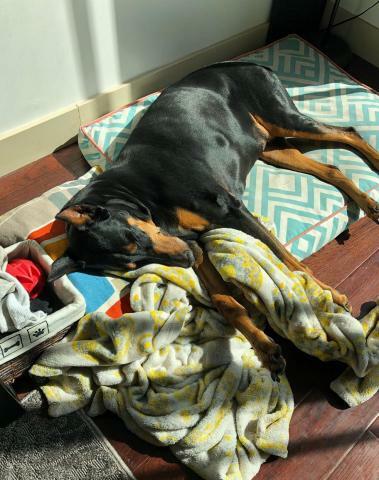 We knew it was risky at her age, but it was a ticking time bomb inside of her and also had no clue if it was cancer, and were going to have it biopsied. We were lucky that she had surgery. The mass was the size of a head of lettuce, and she had ruptured about a liter of blood by the time she was under. What they (and we/our vet) didn't realize was that her liver was in horrible shape and close to failing. We had a blood panel a few months prior and her liver values were slightly high, so we starting Denamarin and were about to go in for a follow up to re-check her values. That obviously changed her ability to recover how they had originally thought. After surgery, she needed multiple blood transfusions and her red blood cell count was very low. They said that her back leg was dragging a bit, and it seemed to have some nerve damage. The following night was the most restless night we had, with our ringers on and continually waiting for updates. We went in to see her, to see if we can help her eat or get an appetite, but she was struggling to even move. They had to sling her back end to get her to walk out, and we couldn't even recognize the look in her eyes anymore. It was clear she wasn't OK. The next set of details continue to be painful, but she stayed another night, and they said they didn't think she would make it out of the hospital at this point. She was really struggling to recover, and if we brought her home, it would essentially be hospice until we made the decision that they, and we, knew had to be made. We couldn't bear the thought of losing her while she was in a strange hospital and we weren't there. We brought her home, made her a bed on the floor of blankets, and wrapped her in her favorite one. 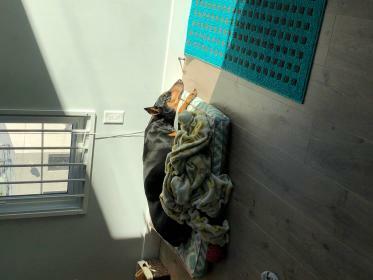 We laid with her all night, until we had someone scheduled to come Sunday morning. 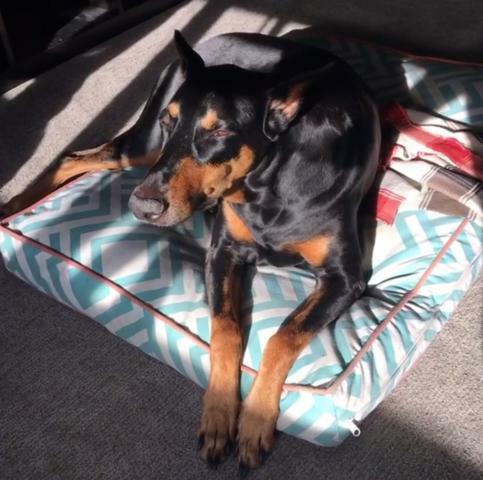 It was excruciating knowing we couldn't do anything for her, but we told her how good of a girl she was, and that we loved her from when we brought her home, until they came the next morning. She didn't even care that a stranger was here, or what they were doing. She kept floating in and out of consciousness, and I can't stop thinking about the look in her eyes. 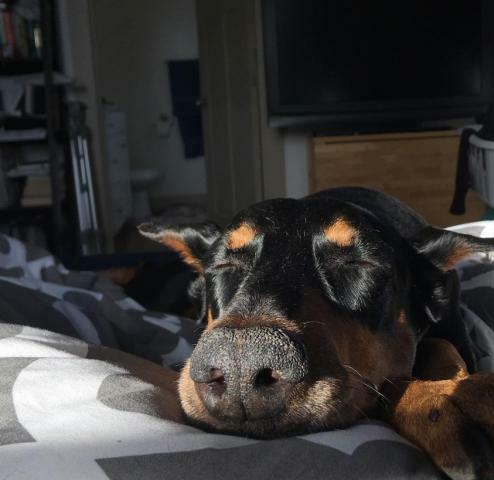 It hurts to have her here one day, full of life and energy, and then having to watch her close her eyes for the last time a few short days later. 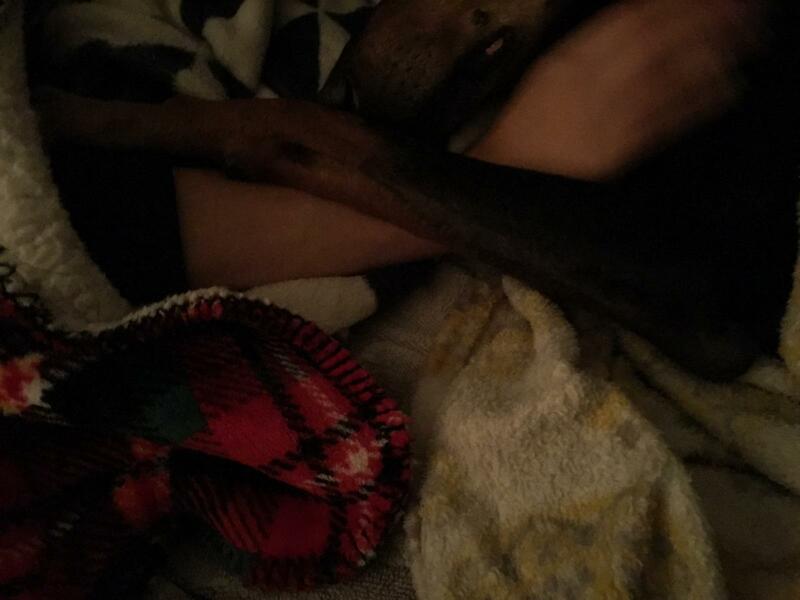 She put her paw over my arm and held it the majority of the night, still trying to comfort me like she was so good at doing, even though she's the one who was suffering. Her love was unconditional, and I only hope she knows how much she was loved. I thought I was getting better until the emergency hospital sent us surprise flowers a week later, in memory of her. And then the tears started to flow again. I'm trying to not let the guilt of the decision to have surgery haunt me, and I'm trying to stop replaying all of the options in my head. 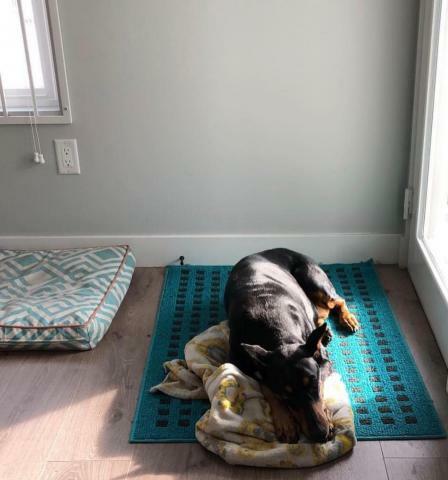 For now, we've left her bed in her favorite sun spot so it shines down on it every morning. 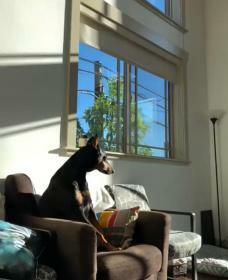 I like to think she's still sitting there and soaking up the sun. She was our whole life and I feel like a part of my identity has been wiped away. I know this feeling will pass, but the emptiness is so much to bear sometimes. If it's OK, I'd love to leave you with some of my favorite pictures of her below. The last pictures I shared on here were when she was maybe 2 or 3 years old. I may have to add another post, because of the file limit. Last edited by Amadeus Von W; 01-06-2019 at 01:32 PM. I am sad for you. Tour post is a lovely testimony to Ami. It sounds like you and yours had a wonderful 10 years with your girl. And now you have the fond memories. @ Ami... Run free. Pain free. Amadeus Von W and LadyDi like this. I'm so very sorry for the loss of your beautiful girl. And thank you for sharing the photos - the black and white one is stunning. So sorry to read this - I will be honest - by the time I got done reading - the tears were flowing - tears of sadness and tears for all the great times you and your husband had with her , And trust me - She knew how much you all loved her . Heartbreaking. Thank you for sharing the photos of your beautiful girl. Your love for her was obvious. 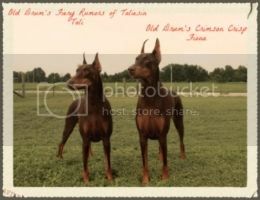 To know the love and singleminded devotion of a Doberman in your life is something to cherish. It sounds to me like you did everything possible for her. Don't let the second guessing take over the good memories. Hugs to you. Absolutely stunning! So sorry for your loss. I am so sorry for your loss and the pain that you are going through. If I am not mistaken when you were living in Central Fl your girl and my girl, Roxy had a play date at Baldwin Park. My Roxy has since passed but she will always be in my heart and I know your girl will always be with you. They never really leave us. They never really leave us. Could not be better said D-Gal ! Your story brought tears to my eyes--it is so hard to have to make these decisions and so easy to second guess ourselves when things don't turn out the way we wanted them to. It hurts when our dogs have to leave us, and the "what-if" feeling doesn't make it feel any better. But you made the best decision you could based on the information you had. There is no reason to kick yourself. I can tell from your pictures and your story that you gave Ami a loving home and also that she returned your love with her own love tenfold. 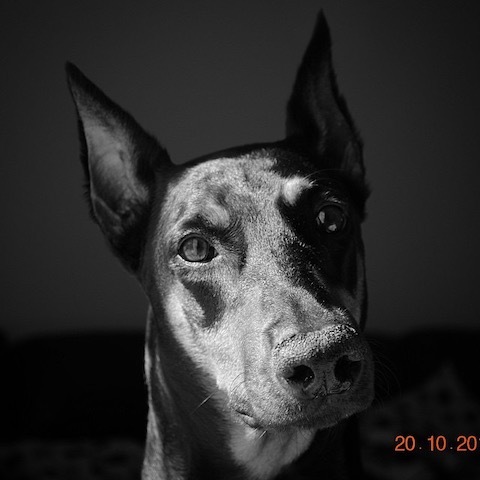 Dobes get into your heart and stay there...right now, your feeling of loss and your grief are in the forefront, but there will be good memories for you to cherish more and more as time goes on. @dobegal : Yes! We/they did have a play date together. I remember how happy they looked together and it was so nice to meet up and hang out. I was looking through some of those photos the other day! I’m so sorry to hear of Roxy’s passing as well. She was such a special girl. ❤️ Thank you for the thoughtful words - they’re truly velcro from this life, to the beyond. Thank you to everyone who’s taken a moment to share their support on this thread. Kindness is one of the absolute best things about this community and I’m so grateful for each and every one of you! Last edited by Amadeus Von W; 01-06-2019 at 09:36 PM. Reason: Typo/punctuation fixes. I am very sorry for your lost and you have my condolences and best wishes. So sorry for your loss. They never are with us long enough. With time the pain will lessen and she will always be with you in your mind and heart. Your post was both heart wrenching and glorious. 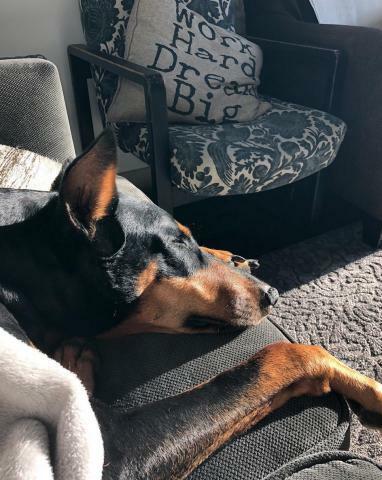 Thank you so much for sharing, I think these stories of love and loss help all of stay in touch with memories of our own cherished Dobermans who have passed on. She was a very beautiful girl and you can see the great devotion in her photos. We all know the heartache you are going through right now. You loved her and she loved you. With all of your hearts. May that comfort you. So sorry to hear of your loss, Ami sounds like she was a very special girl. Thank you for sharing the beautiful pictures of her. I am all to familiar with the guilt you are feeling about whether you made the right decisions or not. 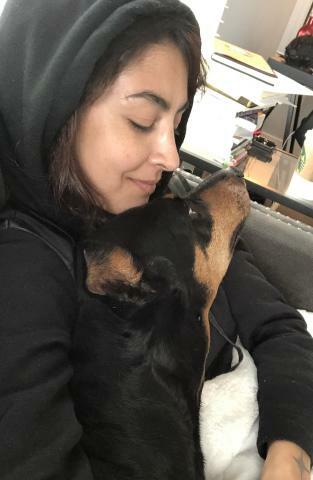 I lost my Athena in July, and my grandma a few years ago, many medical decisions had to be made quickly and I spent a long time going back and forth wondering if they were the right ones. Eventually, I became at peace with the decisions that were made, knowing that they were made with with the best intentions given the information we had. Would different decisions have changed the outcome? Maybe but maybe not and maybe they would have caused more pain and suffering. You did the best you could for your girl, and showed her the ultimate act of love by holding her in your arms and comforting her when she had to leave this world. So sorry for your loss. It hurts so much. I'm so sorry for your loss. It is truly a full system shock when adjusting to their absence. Well wishes to you and your husband. 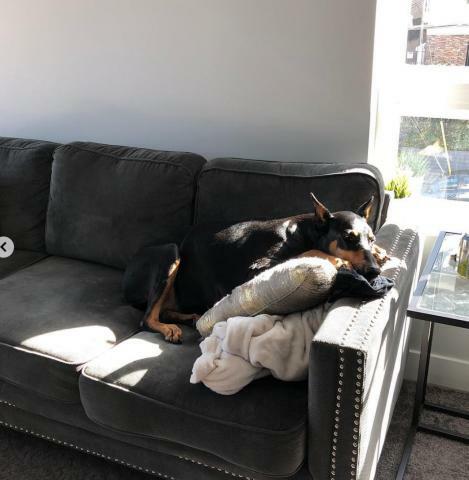 Dogs Name: Sunking's An Affair to Remember "Rémy"
So glad you shared your lovely tribute to your beautiful Ami with us. We've been there and it is torturous. 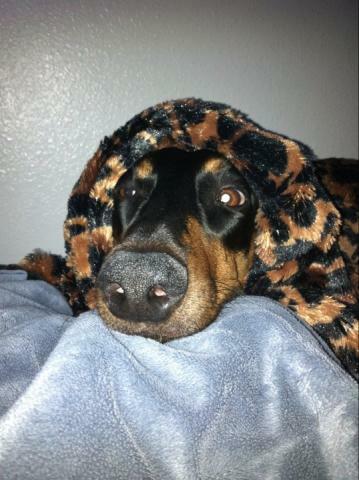 Cyber hugs to your family as you grieve the loss of your precious dober-grrl and so very, very sorry. Copy and pasted this into your browser......song called chasing butterflies.........I think your ready for this song now my Dobie friend. 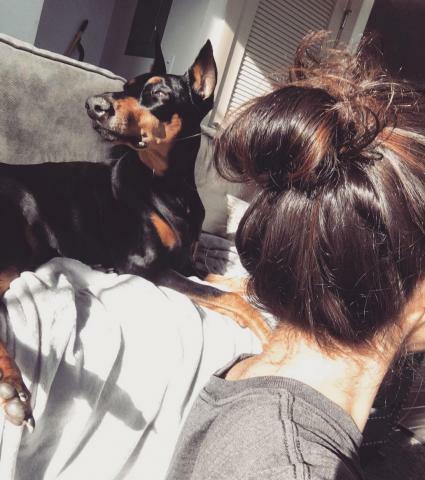 Catchy beautiful song that displays what we experience with our dog relationships. Sorry but for some reason cannot get this to cue up right from this tread. Thinking of you today. Last edited by LadyDi; 01-09-2019 at 07:54 PM. I am so very, very sorry for your loss of your beautiful girl. It is so heartbreaking to lose them as they are never with us long enough. RIP and run free sweet Ami! Loved all your photos of your gorgeous Ami, Your post was beautiful and heart wrenching, so very sorry for your loss.